Mountain biking fans will be able to follow the 2018 Momentum Health Tankwa Trek, presented by Biogen, live on Twitter (@tankwatrek) and watch the live broadcast of Stage 3 on www.tankwatrek.co.za. Photo by Zoon Cronje. 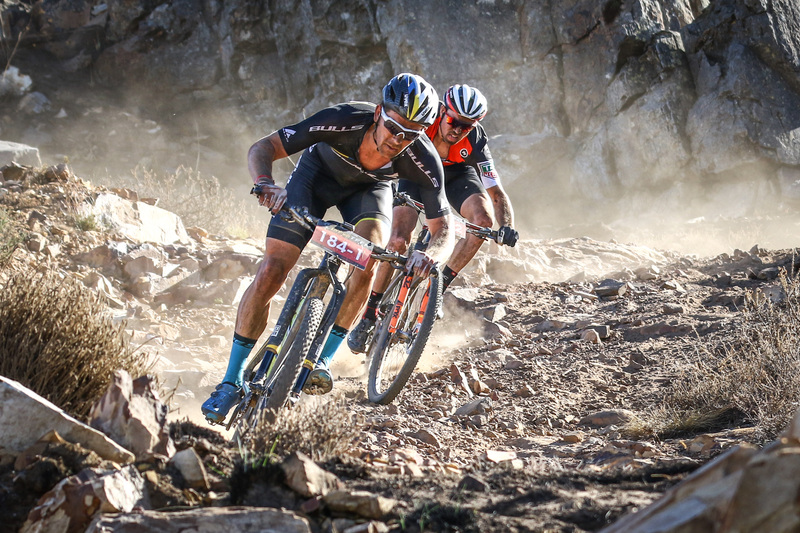 The 2018 Momentum Health Tankwa Trek, presented by Biogen, gets underway this Friday and cycling fans will be able to follow the action live throughout as some of the world’s best mountain bikers race for stage and general classification honours. The event will boast live coverage on Twitter, with highlights on Facebook and YouTube for the first two stages, there after the final stage will be broadcast live on the race’s website and Facebook page. 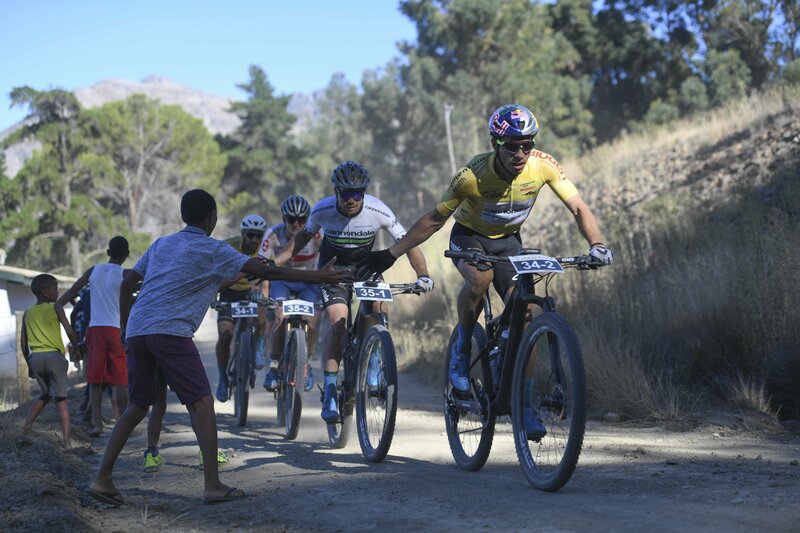 Dryland Event Management pioneered the live coverage of mountain biking events on Twitter at the Momentum Health Cape Pioneer Trek, presented by Biogen, in 2015. With a dedicated operator covering the race from a motorbike on Twitter fans were able to track the key moments of each stage like never before. 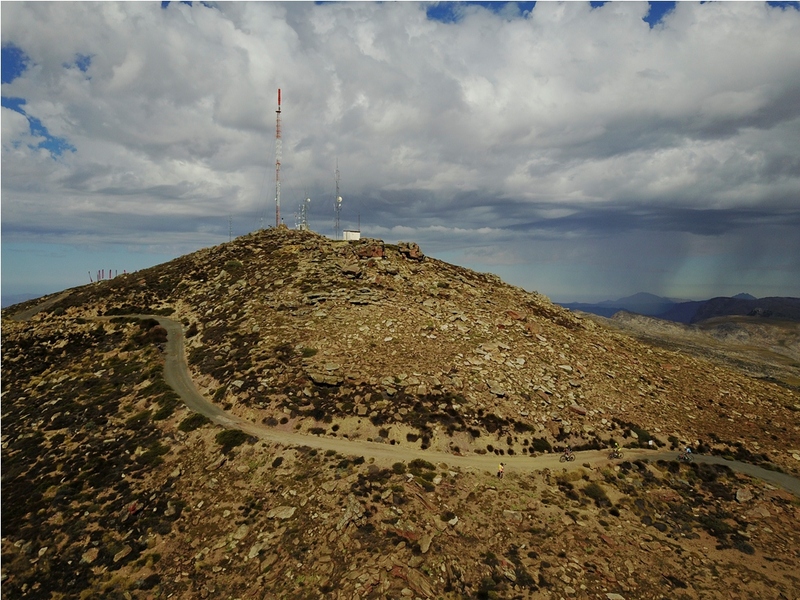 The Momentum Health Tankwa Trek, presented by Biogen, also has a rich history of excellent race coverage and each year the improved cell phone coverage in the area has allowed the Dryland media team to provide updates from increasingly remote sections of the route. 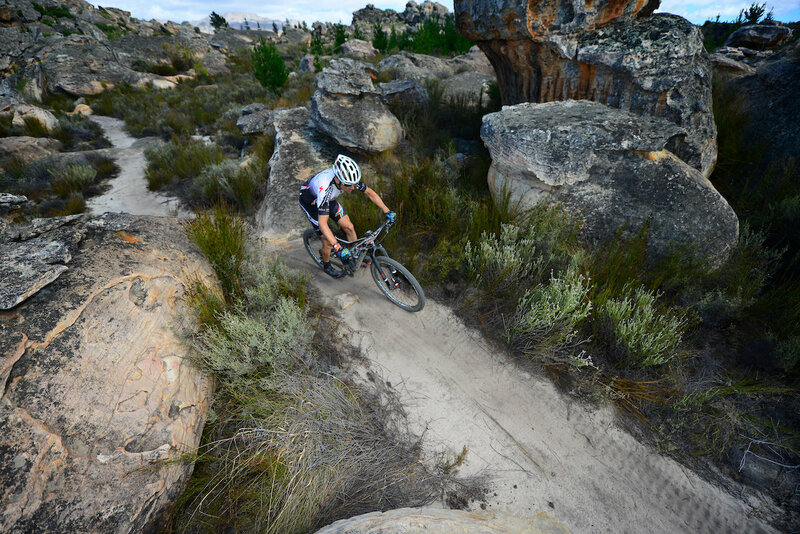 The most spectacular section, the famed Houdenbek singletracks, of stage three have always remained a challenge however as the rocky outcrops through which the trails weave play havoc with cellular reception. In order to make live coverage of this key part of the route possible BreedeNet, Dryland Event Management’s WISP partner, have set up a Wi-Fi grid throughout the Houdenbek trails which will allow Bigshot Media to beam the images from the trails live, to mountain biking fans around the world. Stage 3 of the Momentum Health Tankwa Trek, presented by Biogen, which weaves its way through the impressive sand stone outcrops of the Houdenbek Farm, will be broadcast live on www.tankwatrek.co.za and on the event’s Facebook page. Photo by Zoon Cronje. While the live Twitter coverage on stages one and two will be performed by the in-house media team the live broadcast of stage three will be executed by Bigshot Media. Bigshot Media have long been Dryland’s sole television production company and the Bigshot Media team know the routes and spirit of the Tankwa Trek as well as any of the Dryland crew. This intimate knowledge of the event provides them with the know-how to cover the event perfectly and also the intuition to anticipate when the elite riders will make decisive moves. Also joining the media team for the Tankwa Trek is Extreme Sport Live. Extreme Sport Live will be covering the lifestyle side of the event, showcasing the trials and tribulations of the non-elite riders who make up the vast majority of the field. These stories have traditionally gone untold and it is Extreme Sport Live’s mandate to bring to light the tales of individual successes – defined by conquering personal goals. Mountain biking fans will be able to follow the Momentum Health Tankwa Trek, presented by Biogen, in the following ways. On Twitter @tankwatrek, as the race unfolds, live daily from 06:30. 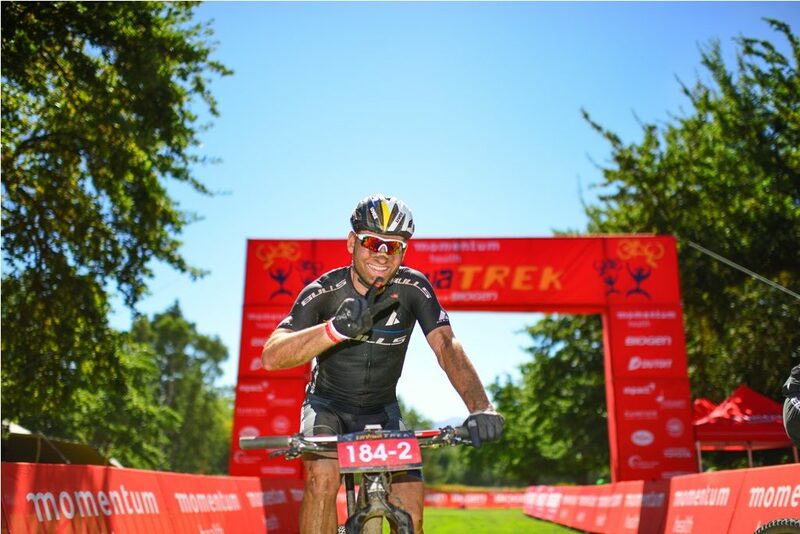 On Facebook Momentum Health Tankwa Trek presented by Biogen – where fans will be able to read situation updates from water points during each stage, watch daily highlights and the final stage live, from 06:30. 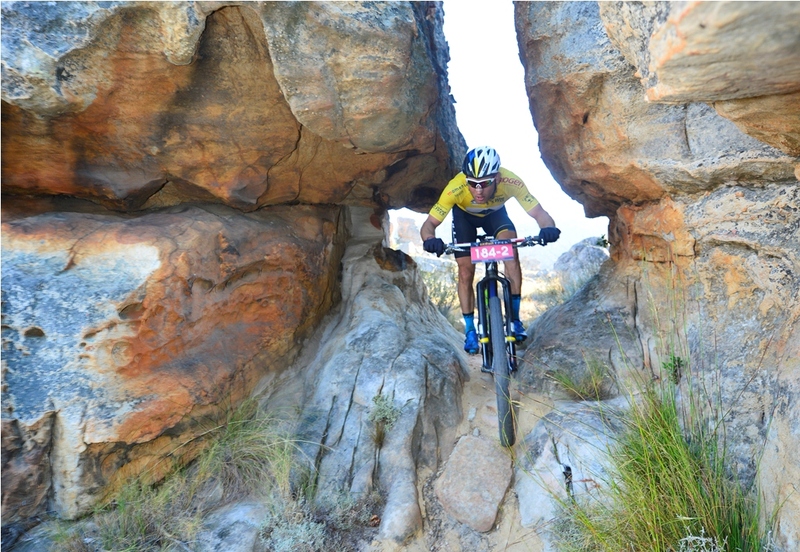 And on the event’s website – www.tankwatrek.co.za – from where the final stage will be broadcast live from 07:15 on Sunday the 11th of February. Additional coverage will be available in the form of Instagram posts and stories on the @drylandza Instagram account and across the Facebook, Instagram and Twitter accounts, as well as the website – www.extremesportlive.com – of Extreme Sport Live. Follow the action from Friday the 9th to Sunday the 11th of February 2018. The iconic ascent of the Merino Monster, on Stage 2, is the race’s ultimate proving ground. Photo by Zoon Cronje.